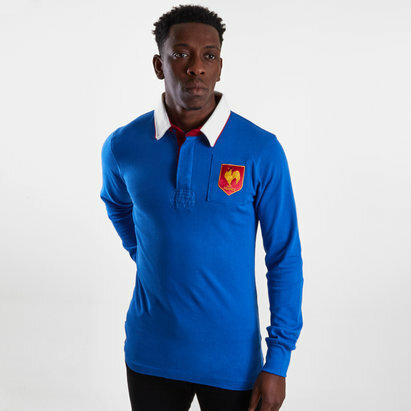 Cheer on the FFR in this Le Coq Sportif France 7s 2018/19 Alternate S/S Rugby Shirt. 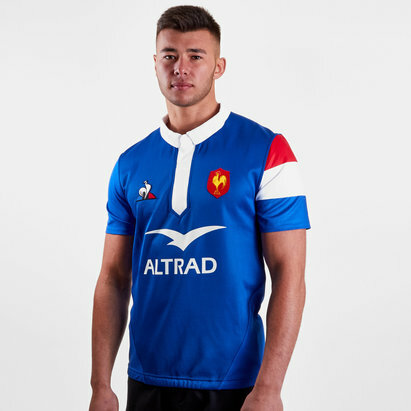 The France national rugby sevens team competes in the World Rugby Sevens Series, Rugby World Cup Sevens, and other international tournaments. 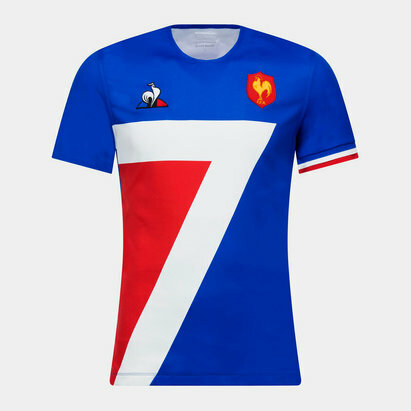 Their best result in the Rugby World Cup Sevens saw them reach the quarter-finals in 1997, 2005, 2013 and 2018. 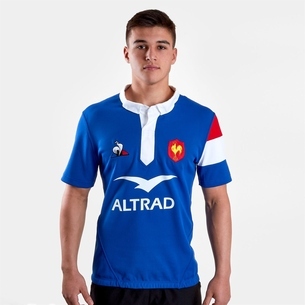 They have won the Rugby Europe Grand Prix series in both 2014 and 2015 and have been runners up on 6 occasions. 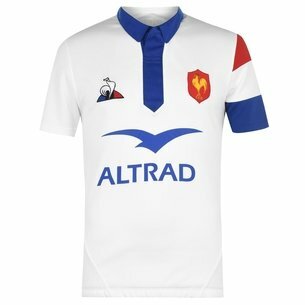 This jersey is the second design to come from Le Coq Sportif since they signed up with the FFR at the start of the season. 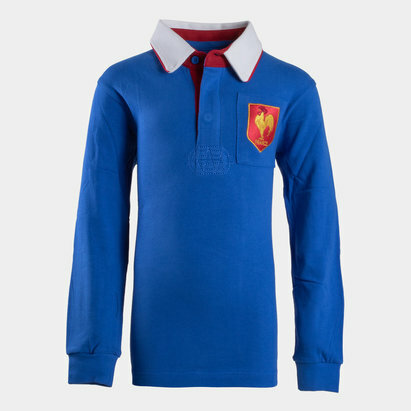 This shirt is thought to be more modern than the 15s jersey. 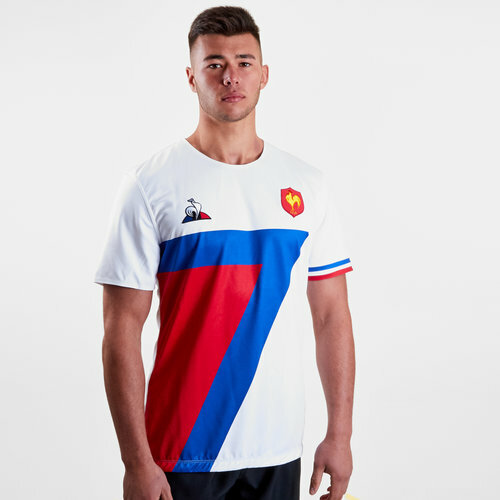 The new France Sevens jersey features a tricolore motif on one sleeve, while the body of the shirt continues the red white and blue theme by using the colours to create a giant number 7 on the front. 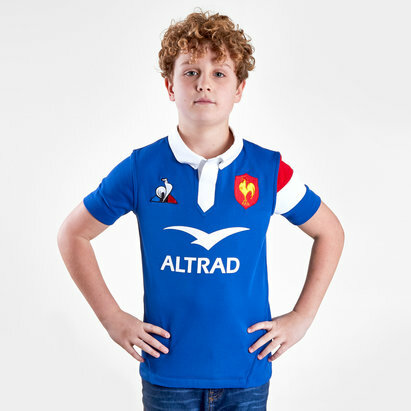 It is the same as the home shirt except the blue, red and white colours have been swapped around. This shirt has been finished with the LCS logo on the right side of the chest whilst the team badge is on the left.